Achieving a shift to digital patient services is a golden thread of STP plans, Claire Read examines how the landscape is shifting and attitudes are changing to the diverse range of new tools and services that place patients in control of their health, but the key challenge remains reaching scale. If, for your sins, you read through every one of the carefully crafted 44 local sustainability and transformation plans (STPs), you will frequently come across the word “digital”. In fact you will realise – as you gulp down two paracetamol for the splitting headache you’ve suddenly developed – that you saw that word in 43 out of the 44 proposals. In many instances, it’s used in reference to the local digital roadmap, an exercise in jointly planning the digital direction of health and care communities, which has become somewhat swept up by the STP juggernaut. But it’s also frequently used in more general overviews of each area’s plans. Which, you ask, is the one document which doesn’t use the word? Step forward Staffordshire and Stoke on Trent, who prefer to mention technology rather than digital. But in suggesting that digital (sorry, technology) could help patients better manage their own long term conditions, this plan too echoes a theme which comes across in many of the STP proposals. 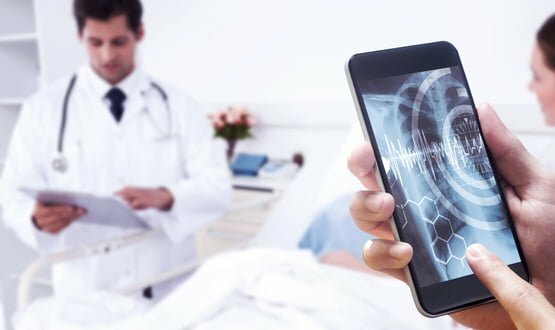 The vast majority state that digital patient tools – be it apps, wearables, shared care records – will be critical to reducing dependence on healthcare services, so making them more sustainable. Certainly the digital patient agenda has been increasingly prominent in recent months. 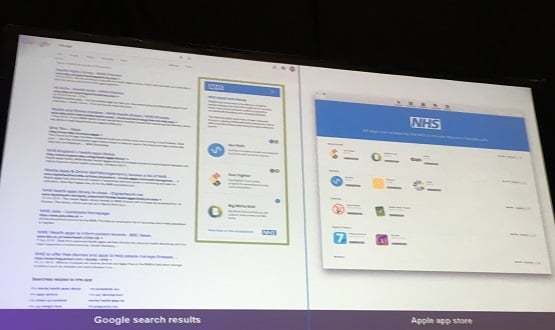 Consider the announcement that a Babylon Health chatbot is to answer some NHS 111 calls in London; or the awards success of University Hospital Southampton Foundation Trust’s personal online health record My medical record; or the plans for a revamped NHS.uk. But the challenge remains delivering these diverse range of digital patient services at sufficient scale to enable shifts to more sustainable models of care that enable large numbers of patients to take far greater direct control of their own health. As a self-confessed “geek, gadgeteer and gamer”, Dr Keith Grimes has always tried to combine his passion for technology with his practice of medicine. He feels “the water has now reached the highest mark thus far”. A couple of weeks back, he hit a milestone: in a single consultation, he used both a smartphone connected ECG (Kardia, by AliveCor) and a smartphone connected otoscope (Cupris). He also uses a digital stethoscope several times a day. That platform supports better communication with patients as well as between healthcare professionals. When a patient does need a consultant appointment, he or she is able to complete an electronic questionnaire via the system to provide the necessary information. Ian Thompson, the strategic director at my mhealth, which runs online self-management programmes for those with long term conditions, tells a similar story. A recent research trial showed patients who went through pulmonary rehabilitation using the firm’s online tool actually did better than a control group who had face-to-face support. But Thompson fears the progress of the digital patient agenda is sometimes stymied because “healthcare professionals don’t always want to let go of their patients”. Dr Grimes is optimistic that his local STP – Sussex and East Surrey – will help accelerate the digital patient agenda and help scale initiatives. “Having an agreed underpinning digital roadmap means that the innovations that take place in one component of the STP can rapidly be moved to the others,” he says. It is a view shared by Simon Merritt, acting head of commercial operations at Ieso Digital Health. The company provides cognitive behaviour therapy via a secure online platform – those with a mental health issue can ‘meet’ a real therapist on the platform, communicating via secure messages. It’s a method which has already been embraced by 35 CCGs, and Mr Merritt hopes the creation of STPs will now make it easier to implement across larger geographic footprints.